The Dragon is a symbol of Strength, Goodness, Courage and Endurance. 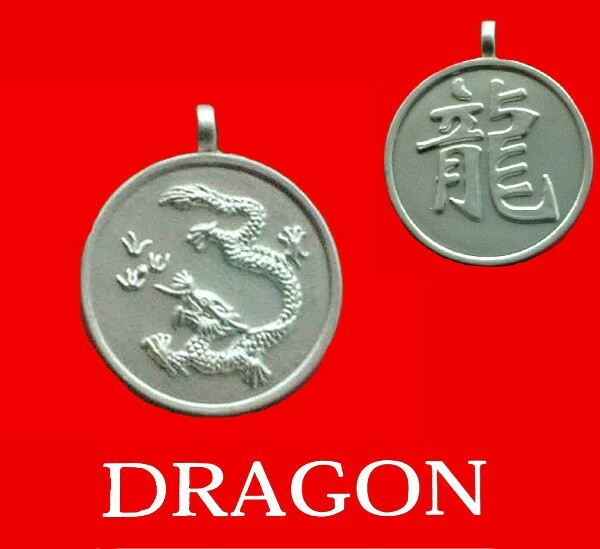 The Dragon is Yang energy which is male. He is the emblem of vigilance and security, and also the spirit of change. In Chinese mythology the Dragon is the predestined partner of the Phoenix, which is Yin energy. Feng Shui endeavors to capture Chi', the Dragon's breath. 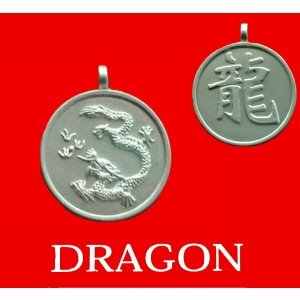 Dragon,round Chinese year of Animal with Calligraphy, pendent on black cord.